Yesterday I made personal puddings for our guests, as a part of our afternoon Innkeepers Reception. I found these cute little 2 ounce dessert cups at Ikea, and they are so versatile and fun to use. 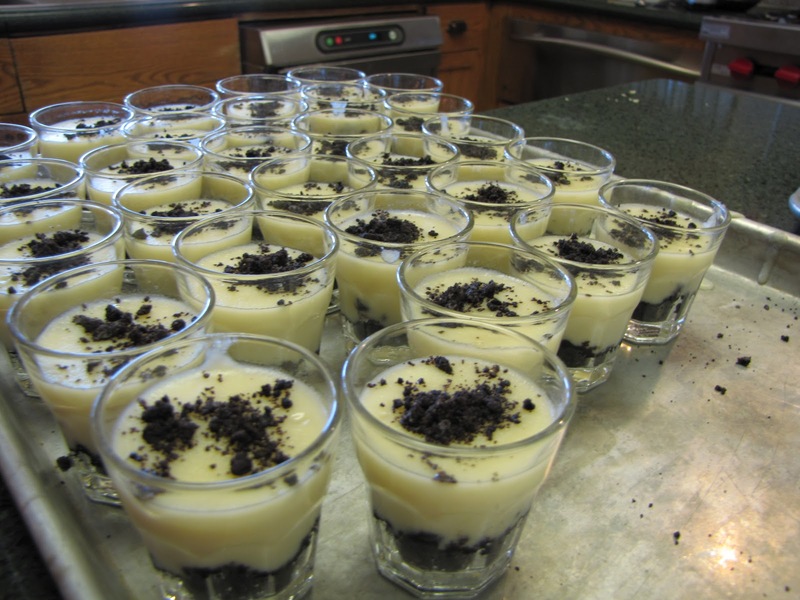 The Oreo Vanilla Pudding was a big hit! I’ve also made chocolate pudding in these little cups. Makes 30 individual dessert cups. I see your recipe calls for 6 cups of milk but only uses 4 cups. Please clarify. From another B&B broad in a kitchen! Ooops…good catch! I used to make the pudding with 6 cups of milk (and no half & half), but tried substituting 2 of the cups for 2 cups of milk. I like to better this way, a little more creamier and richer. The recipe has been corrected. Again, thank you!